The LANSS4412R12FH is a Lankota Stalk Stomper® mounting kit for CaseIH® 2612/4212/4412 Series & New Holland® 99 Series hydraulic folding corn heads. 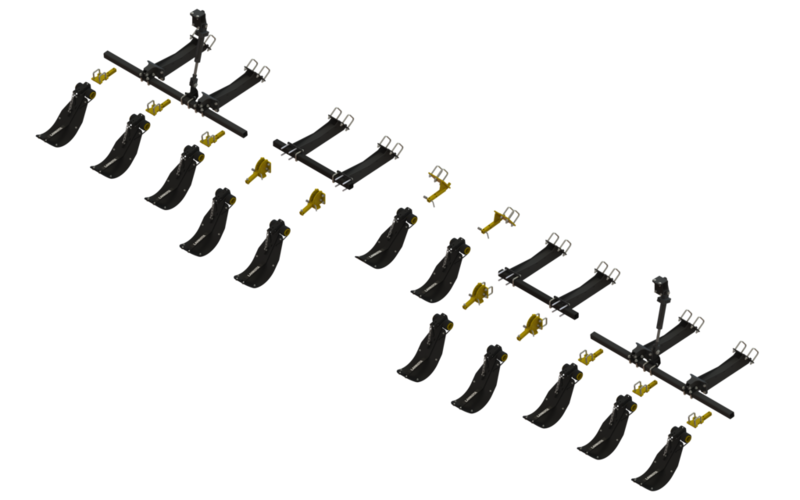 The kit contains the toolbars, mounts, and hardware needed to prepare the header for Lankota Stalk Stompers®. The estimated installation time is 5 hours.